Music 0425 Writing About Music. 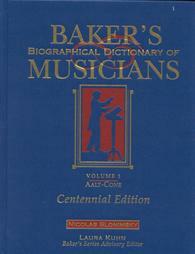 In 6 volumes, Baker's Biographical Dictionary is another standard reference source for information about musicians. 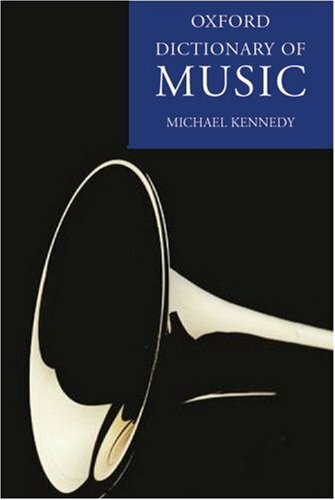 An indispensable guide for all music lovers and performers, both amateur and professional, The Oxford Dictionary of Music brings together an unrivalled collection of entries — 12,500 in all — covering musical subjects of all kinds in an authoritative and accessible way. Its full text is available through Oxford Music Online. Combining authoritative scholarship and lucid, lively prose, the Fourth Edition of The Harvard Dictionary of Music is the essential guide for musicians, students, and everyone who appreciates music. Its full text is available through Credo Reference. 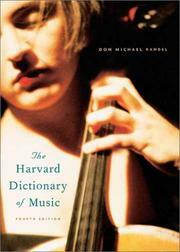 There are many dictionaries and encyclopedias in the field of music. This page highlights the most prominent ones; these can serve as foundations for your music research. The New Grove Dictionary of Music and Musicians, 2nd edition is universally acknowledged as the unsurpassed authority on all aspects of music. Some of the most useful features of the New Grove are the detailed bibliographies included with each article, which provide readers with additional resources for further research, and complete lists of works for all the major composers. The full text of the New Grove is available electronically through Oxford Music Online. 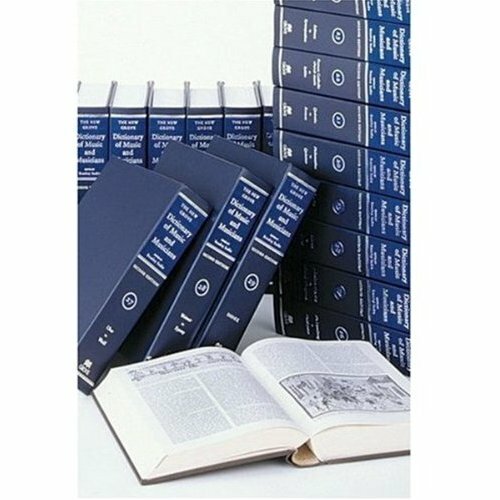 New Grove also publishes several important, more specialized encyclopedic dictionaries. Their full texts are also available through Oxford Music Online. The Garland Encyclopedia of World Music is the first comprehensive resource devoted to music research of all the world's peoples. Each of its 10 volumes is devoted to a different geographic area. Its full text is available online through Alexander Street Press' Music Online. The 10-volume Encyclopedia of Popular Music, edited by Colin Larkin, features a broad musical scope covering popular music of all genres and periods from 1900 to the present day, including jazz, country, folk, rap, reggae, techno, musicals, and world music. Its full text is available through Oxford Music Online.